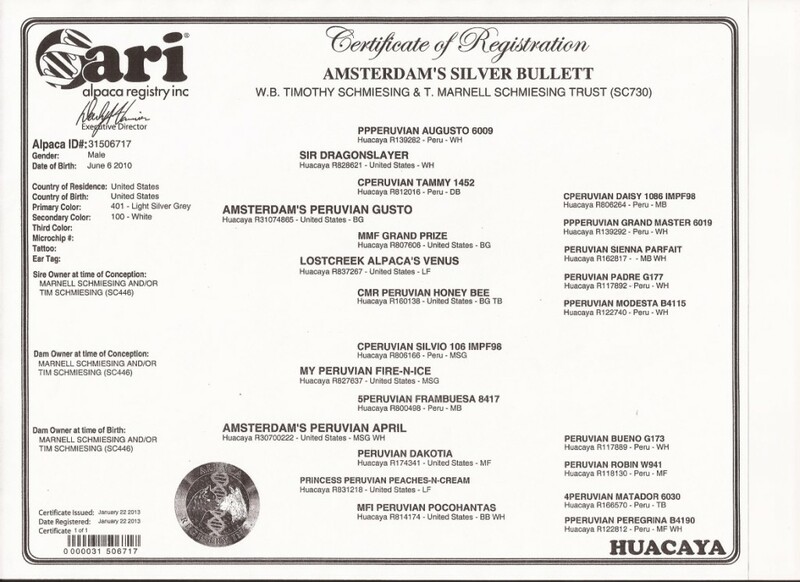 Silver Bullett is a very nice, full Peruvian, accoyo/allianza mix with bold crimp and uniformity. 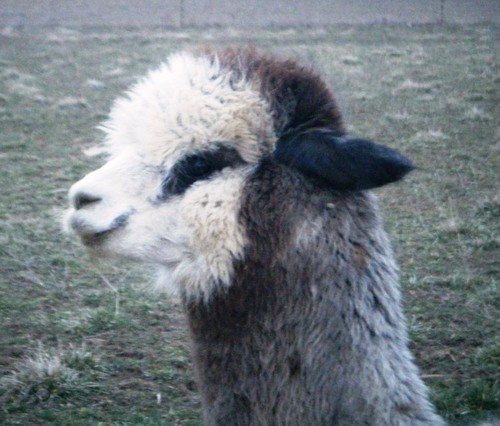 He is, without a doubt, one of the nicest alpacas on our farm but is related to almost every female on our farm so we cannot use him for breeding. He would be used a lot on our farm, if it was possible. He carries the lineage of many great bloodlines including GrandMaster, Augusto, Fire-N-Ice, Silvio, Bueno & Matador. He is a beautiful rose gray and has his father's calm personality and his mother's proud stance. (We registered him as silver gray, but he is rose gray). 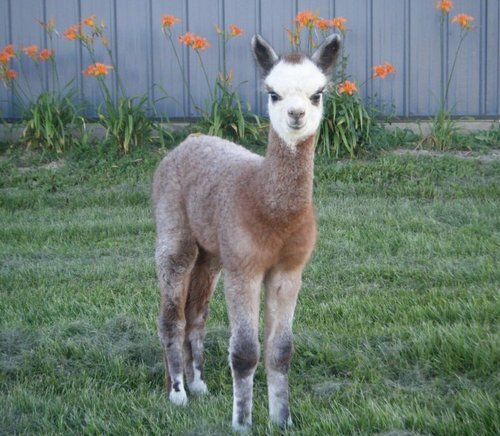 Even as a cria, he stood tall and proud. 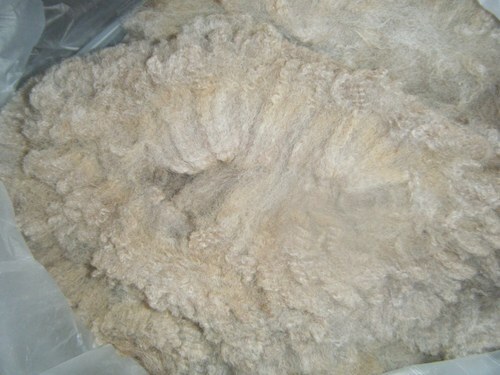 We can send you a fiber sample upon request. 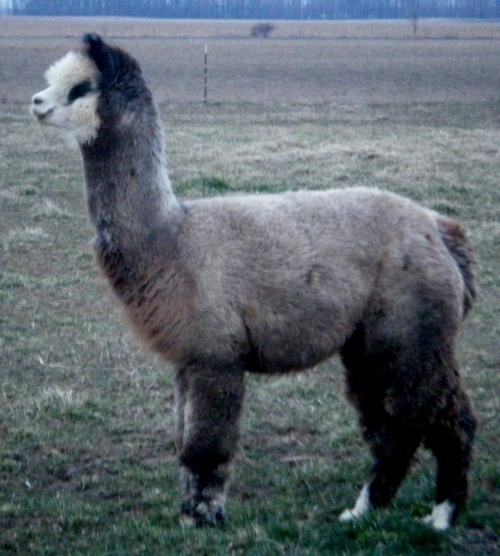 This is a chance to add a wonderful gray herdsire to your herd. We recently received a grading of baby fine fiber for Bullett, which is a micron count of 20 to 22.9!